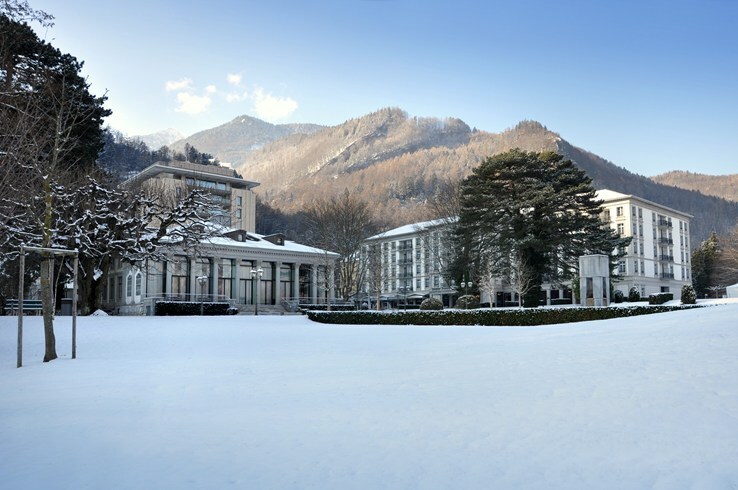 Grand Resort Bad Ragaz is a luxury wellness resort set against a beautiful Alpine backdrop. It is a destination for guests to focus on health, wellbeing and overall relaxation along with large helpings of luxurious hospitality and culinary experiences. 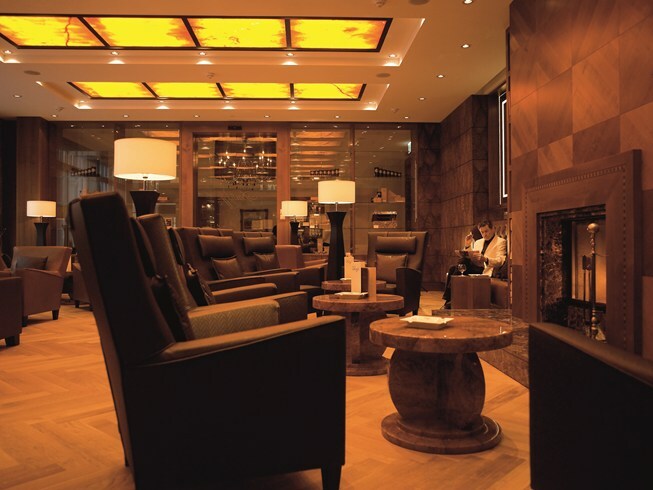 The sprawling complex comprises of two hotels: Grand Hotel Quellenhof & Spa Suites and Grand Hotel Hof Ragaz & Palais. Guests at the resort have free access to the Tamina Thermal Springs whose health and wellness facilities include a 7,300 square-meter spa, one of the largest in Europe as well as several spring-water-filled indoor and outdoor pools, three sauna and steam bath zones & Asian treatment suite. 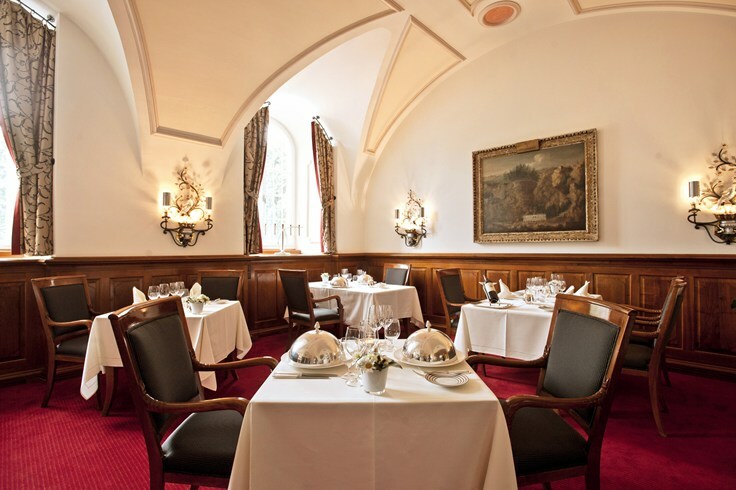 The distinctly traditional Grand Hotel Hof Ragaz, consists of the listed Palais building and the newer Hof Ragaz and bears testimony to Bad Ragaz developing into a spa town.The Grand Hotel Quellenhof embodies the classic, luxurious elegance of the Swiss Grand Hotel business. 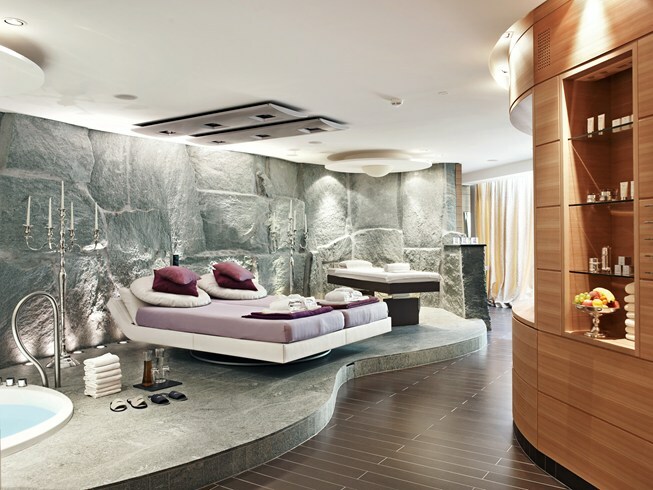 But it is the sleek Spa Suites that are arguably the real show stealer when it comes to luxurious and upscale relaxation. 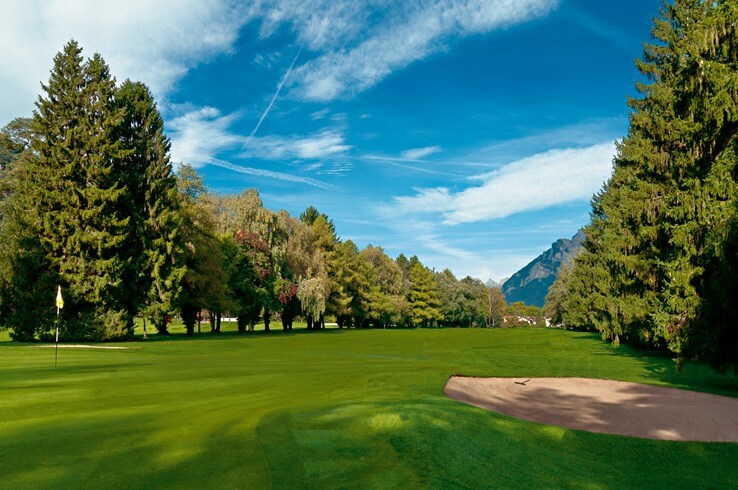 Located in Northeastern Switzerland, Bad Ragaz is a Spa Town near the Alpine Town of St Galle. It is a one hour drive east from Zurich International Airport and 2 ½ hours south of Munich International airport. 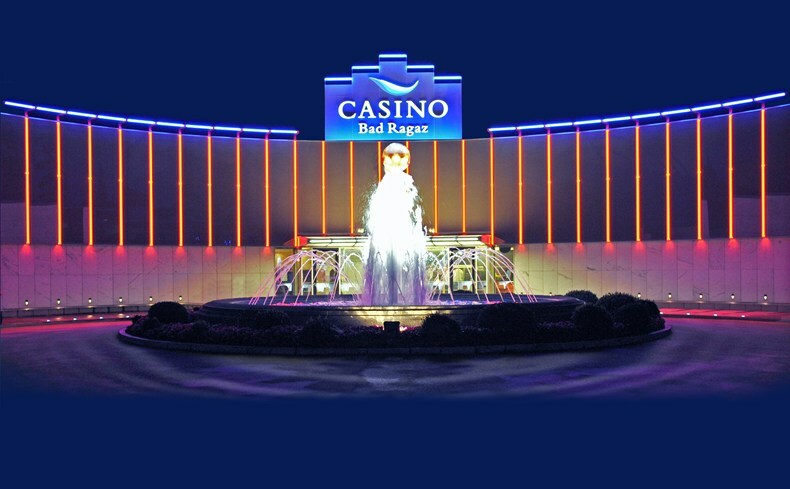 The resort offers a limousine transfer from Bad Ragaz station (a few minutes away) and from Zurich station. The Resort has 106 rooms in all between the two properties of Grand Hotel Quellenhof & Spa Suites and the Grand Hotel Hof Ragaz & Palais. Each is tastefully designed to suit the needs of every guest and meets the Lifestyle Living concept with earthy colours and a harmonious blend with other rich colours. All of them feature a Sony flat-screen TV/CD/DVD, writing desk, safe, Internet, telephone and MP3 connection come as standard, as do the private bar, Nespresso machine and tea maker. The brown-white marble bathroom has a shower, bathtub, single/double wash basin, hairdryer, luxury care products, bathrobes and slippers. Interconnecting rooms are available on request for families. All Comfort Rooms have their own balcony which boasts splendid views over the mountain landscape and park. The furniture and choice of materials is traditional, with soft earthy tones and yellow creating a harmonious colour scheme. It has a queen sized bed with exclusive satin bed-linen. The 1st floor is laid with superior parquet flooring. 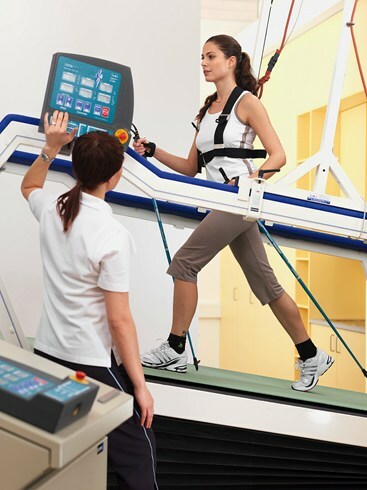 All other modern and luxurious facilities are included. Size - 377 sq feet/ 35 sq metres with balcony. The harmonious colour scheme with soft yellow and earthy shades creates the comfortable atmosphere for which the Grand Hotel Hof Ragaz is renowned. The king-size bed measuring 2 × 2.10 m is fitted with exclusive satin bedlinen. Select either parquet flooring or carpet, whichever you desire, and enjoy the view over the park or the garden from your balcony in nearly all the rooms. Size 485 sq feet/ 45 sq metres with balcony. The parquet flooring and the harmonious colour scheme of the stylish Grand Deluxe Rooms with soft yellow and earthy shades creates the comfortable atmosphere for which the Grand Hotel Hof Ragaz is renowned. The king-size bed is fitted with exclusive satin bedlinen. . Size 592 sq feet/ 55 sq metres with balcony. This suite provides splendid views of the Buendner Herrschaft, Alps or park. The exclusive Junior Suites have a Twin or King bed, dining table and a comfortable seating arrangement plus corner balcony. The warm yellow tones combined with blue create an agreeable ambiance and the carpet ensures a feeling of comfort. Spacious granite bathroom have luxurious facilities including a TV. Size 538 sq feet/50 sq metres with balcony. Daylight floods through two large windows into the Corner Junior Suite which features a four-poster bed adorned with a canopy. Shades of yellow and royal blue lend a classic, luxurious elegance to the Corner Junior Suites, carpets provide a feeling of comfort and warmth. These suits have more balcony place with all around views. Size 646 sq feet/60 sq metres with balcony. The exclusive Suites have a separate living and dining room. The Suites each have different colour schemes, and the carpets ensure a feeling of comfort. All Suites are provided with flat-screen TV/CD/DVD, 4 telephones, fax connection, WLAN, private bar, Nespresso machine, tea maker and safe with power supply. Spacious granite bathroom feature all luxurious facilities including TV. The suites have splendid views of the Buendner Herrschaft, Alps or park. Interconnecting doors to a Junior Suite are available on request. Size 80 sq metres /860 sq feet. Luxurious accommodation with beautiful views of the Buendner Herrschaft, Alps or park. An extensive and luxurious wellbeing and Thermal Spa with treatments from all over the world. 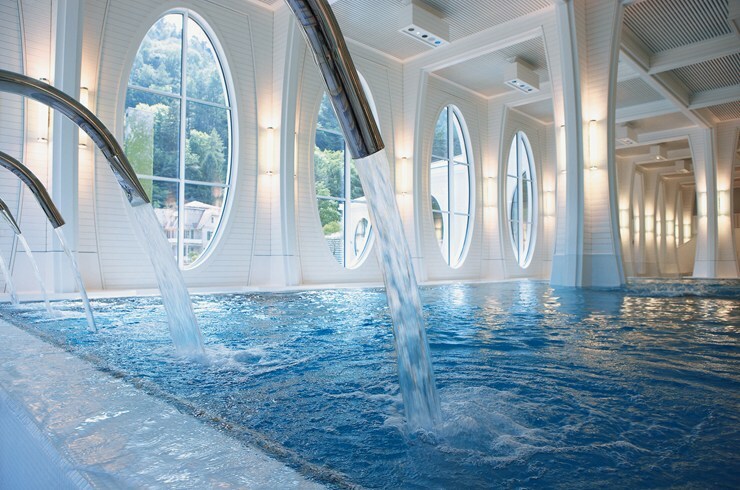 Legendary source of beneficial thermal spa water and use of natural Herbs. 18 Hole PGA Championship Golf Course. The ski safari offers winter sports enthusiasts the chance to experience 3 varied ski resorts. Each resort has something to offer everyone. Transfers to each destination are included. You can also relax in a thermal spa and enjoy gourmet food. 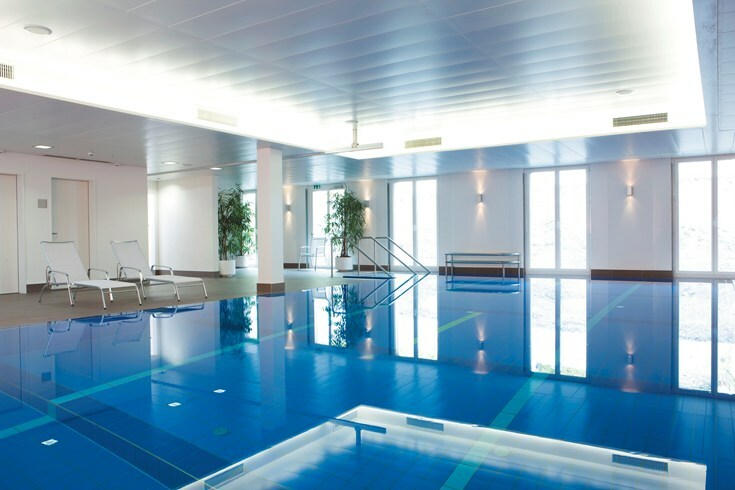 A top of the line health & wellness centre and a Thermal Spa surrounded by stunning Alpine beauty. It is a Art & Design centre which exhibits art from 80 artist and 17 countries in its Sculpture Park. Explore the wild gorges of the Tamina Valley, hike historic paths and discover the legendary source of our beneficial thermal spa water. Winter Activities: Alpine skiing, snowboarding, cross-country skiing, snowshoeing, touring and sledding. Attend the various events organised by the resort: exhibitions, readings, talks, bar music and concerts . For more information and bookings, please contact us at: Luxury Getaways by Odyssey - A division of Odyssey Tours and Travels.